The Philosopher's Wife: 7 Quick Takes: Gender Reveal! 1. As you know, perhaps too well, I've been having a lovely bout of morning sickness . . . for the past four months or so. I am now officially halfway through this pregnancy and had the 20 week ultrasound yesterday. 3. I'm going to have to try my hand at this awesome onesie pattern by Winter Peach! 4. 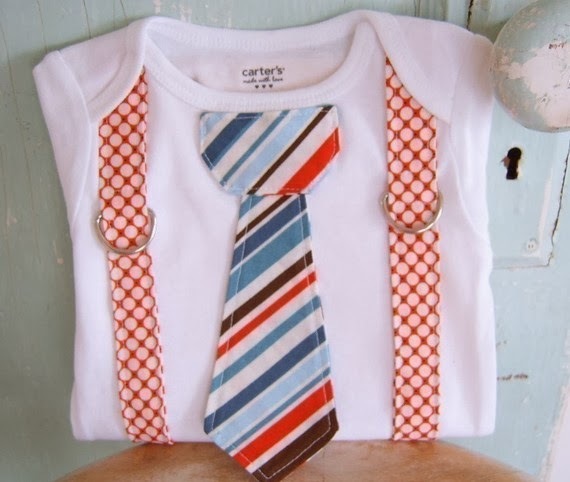 And this super cute Faux Vest Onsie by Erica over at B is for Boy. 5. I hope that my knitting keeps improving so that I can make this Gramps Cardigan! 7. Did I mention that it's a boy? I just had a photo idea: princess and the frog! I'm sure that would be spectacularly cute. Congratulations! Little boys are special, but I'm biased. =D I love that onesie pattern by Winter Peach. Very cute! Those are some very cute patterns. Congrats on the comming boy. I have a girl and a boy too. Let me tell you it has been very hard to get sibling photos. I hope that is not the case for you. Congratulations. That is so exciting. Those onesies are way too adorable. Congrats on the boy, what joy!